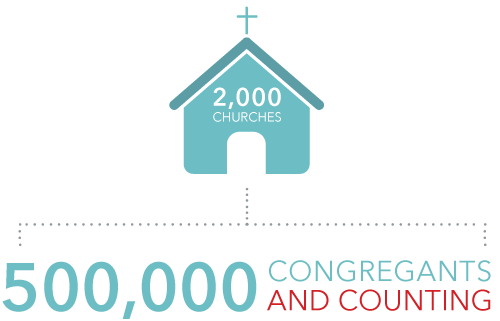 Based on research gathered over the last decade, the REVEAL for Church: Spiritual Life Survey has been used by over 2,000 churches, representing 500,000 congregants—and counting. After congregants have taken the Gloo hosted survey and the survey period is complete, the results are aggregated. The next day Church Leaders will receive a beautiful, detailed report that provides an accurate snapshot of the spiritual health of their congregation. REVEAL for Church: Spiritual Life Survey is hosted by Gloo. Gloo provides the ability to build powerful assessments that function intuitively across mobile and desktop experiences. This makes it easy for congregants to access the REVEAL for Church: Spiritual Life Survey whenever and wherever they are. Church leaders can be assured that they are optimizing the opportunity to get as many congregant responses possible.